A number of events are taking place this weekend to commemorate the lives of two local IRA volunteers.Patricia Black and Frankie Ryan died together while on active service in England 20 years ago. The pair, from Lenadoon and Poleglass respectively, died on November 15, 1991, when an explosive device Patricia was carrying detonated prematurely near London. 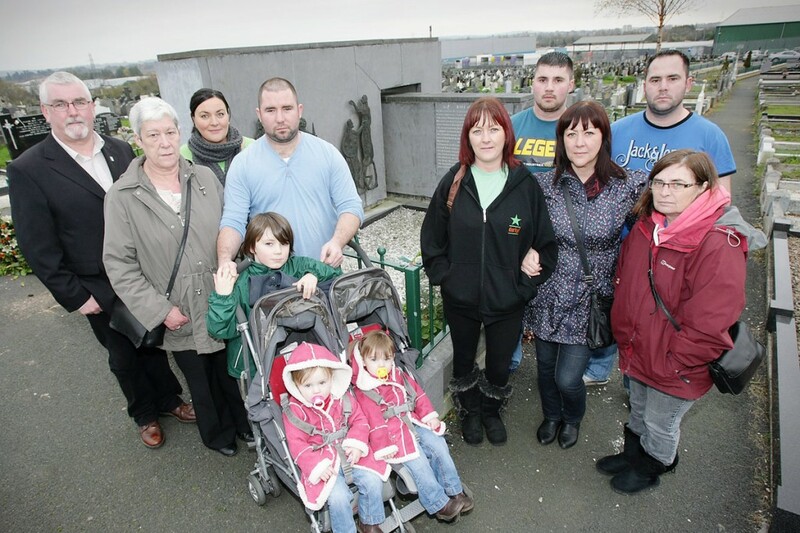 Members of both families, along with members of éirígí, gathered at the graves on Tuesday to mark the 20th anniversary of the deaths. An event is being held this Friday at the Donegal Celtic in memory of Frank and Patricia, while on Sunday a march will take place at Milltown Cemetery. éirígí’s Pádraic Mac Coitir, who was at Milltown on Tuesday, told the Andersonstown News of the weekend plans. “The Patricia Black and Frankie Ryan Memorial Flute Band is flying into Belfast from Glasgow this weekend,” he said. “We will have the do on Friday night at the DC and then assemble at the front gates of Milltown at 1pm on Sunday. Everyone will then march to the County Antrim plot while the band plays. éirígí’s Louise Minihan from Dublin will be the main speaker.